Playa d'En Bossa's exclusively alternative venue continues to fly the flag for urban styles. Put on your best kicks and dress to impress. SWAG Club is back for 2018. The swish Playa d'En Bossa venue is now opening for another summer of fierce urban beats. Though the island has a global reputation for being a dance music mecca, it is increasingly attracting a more diverse crowd. SWAG is one of the few venues dedicated to catering towards fans of r&b and hip hop. 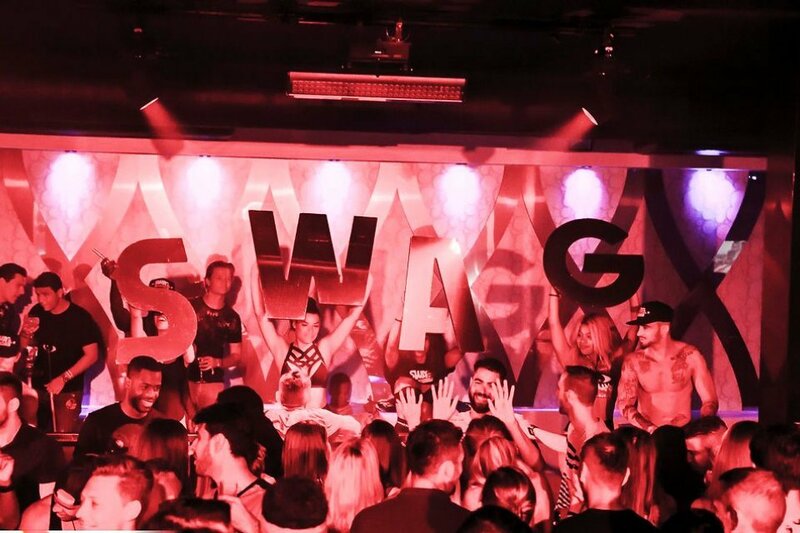 Now in its fifth season, SWAG has established itself as the home of urban music in Ibiza. The stylish 1,000 capacity venue features the scene's top DJs, also spinning plenty of Latin, reggaeton, bashment and trap. Its pre-opening party slammed into action last Saturday, and this weekend, on Saturday 19 May, things get serious as the venue's flagship event Soul 2 Soul opens its 2018 residency. The rest of the season is just as juicy. Tuesdays host MASH me UP! while Wednesdays become Bad Girls Club. On Thursdays Xcandulous takes over, while UNPLANNED PARTY occupies the Friday night spot. Then from the start of June, the club will open nightly with Sundays meaning Safari. If you really want to show how much of a baller you are, VIP upgrade options are available. Swag mixes glamour with booty shaking and dirty basslines. Step beyond the velvet rope with SWAG. See below for more details and tickets.